Pgh Momtourage: the SnotSucker giveaway! Well, I was when I heard various friends mention this little gadget! Nosefrida was kind enough to send me one to check out for myself. Like me, you have probably all used the little blue nosesuckers with not always great results. This one suctions out the snot really easily & cleanly. Go here to answer all your FAQ's & to view a video on how to use the snotsucker. New format for entering our giveaways! Click below and fill out the simple form to enter. 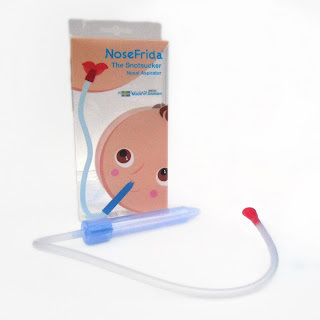 Go here to enter for your chance to win a NoseFrida snotsucker! Contest will close on Friday, November 11, 2011 at 8am. One winner will be chosen by random.org.